It was an epidemic of stunning proportions. AIDS was first recognized as a disease in 1981. By 1992, in the U.S. alone, it was the leading cause of death among American men aged 22 to 44. By 1994, it was the leading cause of death for all Americans in that age group. For years, response to the crisis was slow. Little government funding was available to study this new disease. Hospitals balked at handling all the new cases, and ignorance about AIDS resulted in widespread fear and prejudice. Bailey-Boushay House opened in 1992 as the first facility built from the ground up to serve people with AIDS at end of life. In those early times, a death occurred here nearly every day. Over the years, we have continued to pioneer highly-skilled, compassionate care for people with HIV/AIDS. We were involved early in offering promising new antiretroviral drugs and drug combinations to our clients. We understood that drugs alone were not enough — people needed support of all kinds to help them stay on their medications, and we developed new programs to provide that support. The “firsts” have continued, including starting the first HIV Outpatient Program in the Northwest and the first homeless shelter in the country exclusively for people living with HIV. It was a long and challenging road from the spark of an idea to the opening of Bailey-Boushay House. Betsy Lieberman, long-time clinic coordinator of the Pike Place Market Community Clinic, saw the increase in the number of clinic patients with HIV. She also saw their tremendous needs for everything from health care to housing. She joined with a group of people concerned with the help available to people with AIDS at the end of their lives. 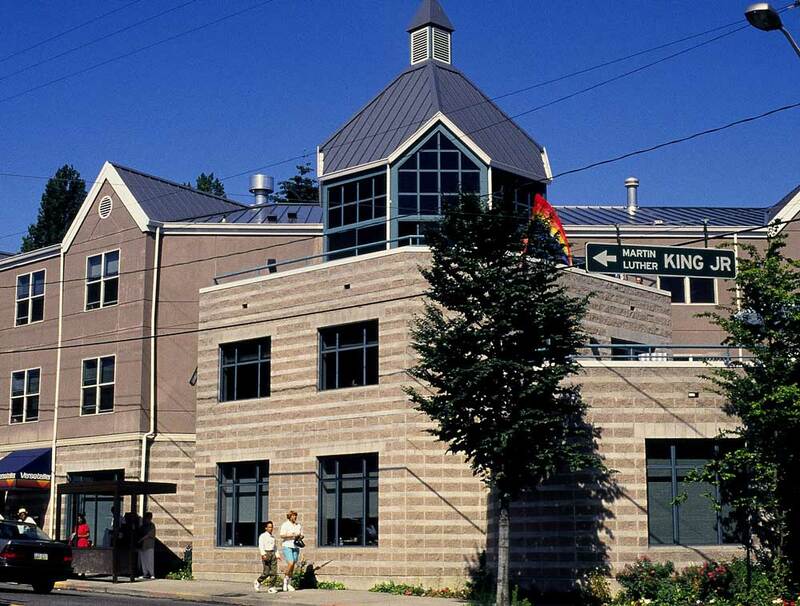 With a grant from the Robert Wood Johnson Foundation, they began to evaluate the needs for King County. It became clear that people dying from AIDS needed a place they could get the care they needed with the dignity they deserved. Opening a 35-bed nursing home to meet these needs was a simple but radical idea. A community of supporters came together as AIDS Housing of Washington to raise money, reach out to fearful neighbors, and overcome myriad funding, cultural and logistical barriers. When the goal was in sight, hospitals that had indicated early interest backed out. In an act of corporate courage, Virginia Mason stepped forward to operate the new facility, and has been doing so ever since. Bailey-Boushay House was named after Thatcher Bailey and his partner Frank Boushay, who died of AIDS in 1989. Today, HIV/AIDS has evolved from an always-fatal disease to a chronic disease, but the population we serve remains particularly vulnerable. And our commitment to serving them with compassion and respect remains as strong as ever.